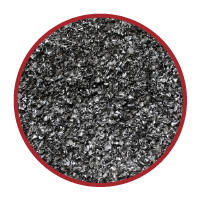 Mega Metals LLC was founded in 1985 to provide titanium recycling and processing services to customers worldwide. 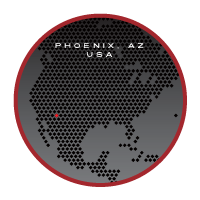 Its state-of-the-art titanium processing center in Phoenix, Arizona offers complete titanium recycling services from scrap metal recycling to inspection and testing to assure high quality in its finished products.  The US-based titanium recycling company brings a global perspective to its approach while maintaining a keen focus on quality and customer service. With an eye on innovation Mega Metals has dedicated significant resources and research into developing proprietary processing systems that deliver aerospace and Ferro-grade titanium turnings and solids. Mega Metals is among a select group of companies that has attained approvals by major titanium mills for the cleaning and processing of titanium turnings, feedstock and bulk weldable used in the production of titanium ingot. Its mill-approved status allows Mega Metals to offer premium pricing on all of those products. Being environmentally conscientious is second nature to Mega Metals and its titanium processing center. As a member of an industry that processes Earth’s raw materials and natural resources, we take our responsibility to protecting the environment very seriously. We consistently demonstrate our respect for the environment through strict adherence to quality in every step of the titanium scrap recycling process. Our improvements in processing systems ensure that we can maximize the yield from scrap titanium, helping to protect the environment while enabling us to be very competitive in our pricing. Mega Metals takes great pride in its unwavering commitment to quality and customer service. We operate with utmost integrity and full dedication to providing quality products and first-class customer service. From your first contact with Mega Metals to the completion of your order, we remain focused on being a leader in titanium processing and recycling. As a leading global titanium recycling center we employ innovative processes and a keen attention to inspection and testing throughout the toll processing of titanium scrap that we recycle. Our commitment to quality has earned us the distinction of being among a select group of companies that has attained approvals by major titanium mills for the cleaning and processing of titanium turnings, feedstock and bulk weldable used in the production of titanium ingot.